Jordy Liz Blogs: Organizing Life: Calendars. For me to have a clear mind and a settled heart, everything must be lined up. My calendar, my schedule, my closets, my home - it all needs to be in order or I go a little stir-crazy. I am a routine and structured person by nature and spontaneity is a challenge for me. My husband doesn't quite understand this, and I've self-diagnosed a bit of OCD, but we all have something we need to feel settled. Maybe it's constant interaction with friends and family. Maybe it's succeeding at work time and time again. Maybe it's having an organized life and home like it is for me. 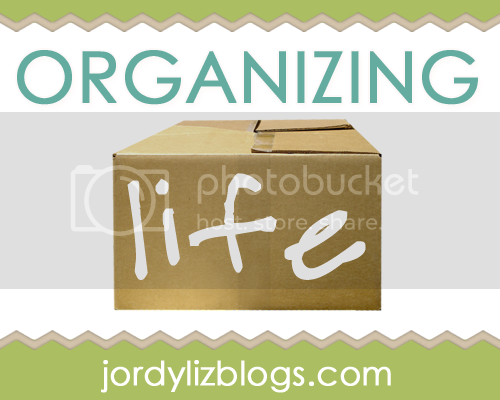 At the end of this month, I am going to launch a link-up series called Organizing Life. I can't wait for you to get involved and I look forward to helping us all feel a little more settled in our spaces. Leading up to the launch, I want to show you a couple of areas in my spinning life I try my best to keep organized, and I want your tips, too. This week, let's organize our calendar. 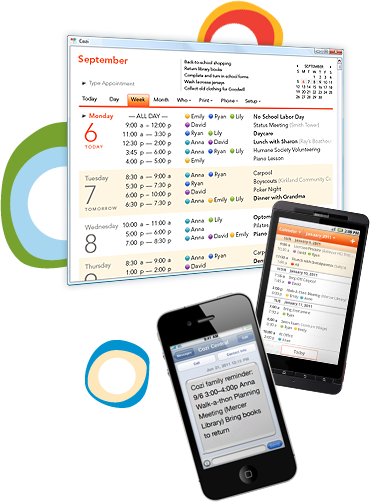 My calendar: My planner is the lifeblood of making our home run smoothly. As many of you know, I use the Erin Condren Life Planner. (You can buy one starting mid-June!) While I've used my fair share of calendars and agendas in the past, this one is made for an organized person. Each day is separated by morning, day and night. What I need to get done in the morning before work, including any work meetings, goes into the first box. The bulk of my work day, including anything I need to take care of during my lunch break, goes into the middle box. Anything in the last box is reserved for anything going on after work, including what I plan on making for dinner. On the side, I list blog posts I want to write and my to do list for the week. Anything I don't do on my list by the end of the week, I immediately move over to the next week. However, while this planner is great for me, my husband doesn't always have access to it and can't read my mind. We ran into a problem really early on where I would plan, let's say, a dinner with friends, I would tell him about the dinner with friends, and when the time would come to have the dinner with friends, he would forget I had ever told him and he would plan a late work meeting or an evening bike ride. We definitely were not on the same page. So how do I include him in the mix? I still use my planner, but once or twice a week I will log on and fill in the calendar with our plans coming up. It has the option of adding a plan just for me, just for him, or for both of us. That way, he knows if I have plans after work, and vice versa. You can set it up to automatically send weekly update and reminders, too. He is no longer left in the dark, and I no longer feel like our calendar all falls onto my shoulders. And it really limits the amount of time we have to spend actually talking to each other. Just kidding. It also has a Meal Planner tab which has helped me be even more organized with our grocery shopping and meals. I can easily see which nights we will both be home for me to cook, or which nights are better for leftovers or eating out. The best part? He no longer asks me every day, "What's for dinner?" So that's how we keep our schedules (and selves) sane. Do you have any calendar tips for organizing life? I am an organizational freak as well, Jordan. Thanks for the tip on Cozi. I need to start using it ASAP. I love the idea of multiple people sharing a calendar and being able to access it almost anywhere. Can't wait to read your new series. Thanks, Melissa! Join us for the nine-week summer challenge coming up in just a little over a week! I appreciate you stopping by. Going to check out Cozi now! Thank you!